An initiative to tackle the issue of deer poaching has been running in the Clough Valley area. Following concerns from members of the public, local PSNI officers have raised the profile of the Operation Wild Deer initiative to help address the issues in this area. Representatives from the Police Service of Northern Ireland (PSNI), including the Wildlife Liaison Officer, firearms branch and local police joined forces with Countryside Alliance Ireland (CAI), British Association for Shooting and Conservation (BASC), the British Deer Society (BDS), Environmental Health, Forest Service NI, Northern Ireland Environment Agency (NIEA), Scottish Association for Country Sports (SACS), and Crimestoppers. 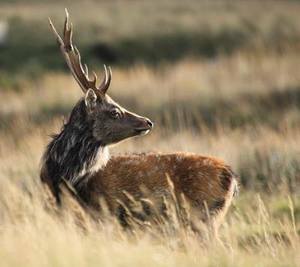 These organisations continue to work together to combat illegal and on-going deer poaching issues and to ensure illegal meat is not sold into the food industry under the umbrella term Operation Wild Deer. Fallow, Red and Sika are the three established species of deer that can be lawfully hunted in Northern Ireland provided they are in season, during the lawful hours, landowner permission is obtained, a legal calibre is used and appropriate safety protocols are followed. Deer poaching is illegal hunting activity under the Wildlife (NI) Order 1985 as amended, whereby the ‘hunter’ has not meet one or more of the above conditions. One consequence of poaching is that animals may be wounded rather than cleanly killed, especially if weapons of the incorrect calibre are used, resulting in severe suffering for the animal. Buck: 1st May to 31st July inclusive. Stags: 1st May to 31st July inclusive. Hinds: 1st April to 31st October inclusive.